I would really appreciate some feedback from the moderators or customer service. I posted a job and then went searching for a freelancer. I put in the specific category and sub-category and chose the rating and expert level. Up comes a list of people for me to review and hardly any of them have the skill I'm looking for and do not even have it listed in their profile that they do this kind of work. I'm being shown totally irrelevant people. How can I better refine my search criteria so I don't get people with all the wrong qualifications? As well, people who say they do the kind of work I'm look for - don't really do it. I chose a few people to look at and when I go to their portfolio they have nothing to show that backs up their claim that they do this kind of work. It's the 4th time I have posted the question in the past 2 weeks. An answer/explanation would be greatly appreciated. Where is the answer please? In this competitive world People wants to assure their next meal. The annoying thing is that they dont even look at the job description. The minute you post a job you will be flooded with proposal. The worst is they wont even post anything relevant to the required job. All they use is ctrl+c and ctrl+v. A perfect example is very much in this thread. Scroll down..
As a entry level freelancer this is what I do. I put a job into my watch section for 4 days. I keep watching the client's last active login time and Interview count. If I see some activity going in the job then I will take some time to guide the proposed issue/job. Most of the client post job here as a one of a source among several freelancing portals. I have seen jobs posted with same description in both odesk, elance, freelancer in the same time and same day. 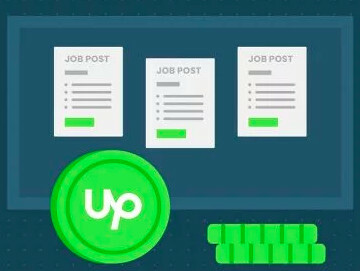 Upwork should have a process where the client could click a button and inform that the job proposal is irreverent to what the actual requirements is. By this process they could eliminate some copy pasted spam proposals. May be its already there. Since I only post job applications I am not sure. At the very top of my search result list is a freelancer whom I had recently hired as a German to English translator. They also have "English transcription" in their headline. The previous hiring experience with them was a good one (as captured by the feedback I gave), so I could understand why Upwork wants to "remind" me of this experience (although I am certainly able to remember perfectly fine, thank you), but at the same time this freelancer absolutely isn't what I am looking for. I also tried "German+transcription" as I didn't know whether this has an impact on the search results (and this freelancer doesn't have this combination anywhere in their profile), but same result, they are on top of my list again. 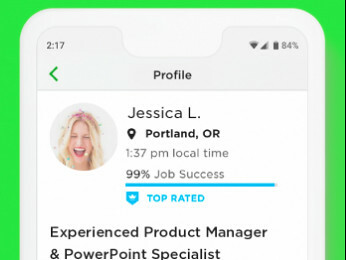 Apart from the fact that Upwork's incorporation of my previous hiring data into this search is not useful at all in this case, the overall search result is extremely unsatisfactory. 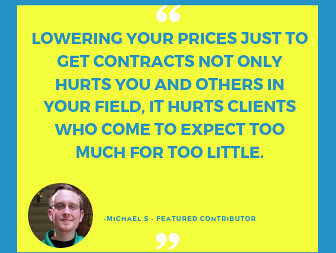 Under 10% of the contractors of the first 5 pages I went through offer what I am looking for. "German transcriptionist" completely jumbled results around but with the same overall results. Filters didn't help much either. Obviously I would be interested to see only contractors with such and such feedback or hours worked, but only AFTER I get results that pretty much only shows freelancers who actually offer what I am looking for. I would really appreciate some advise on how this search experience can be improved from a client's perspective. Posting a job in order to see what "confident freelancers" apply isn't really an option, I have already tried that before. But I want to avoid having to sift through the applications and want to contact/hire people directly since I absolutely know what I am looking for, but am unable to find it? Is someone from management going to address these questions and tell us what is going on? Apart from getting confused about where to look for a freelancer (found!) - I found the search so confusing and time-consuming that I gave up, googled and found someone on the Internet, who has done the job without fuss and extremely well. A lot of things have only been getting worse since oDesk united with Elance and especially after rebranding to Upwork - the irony is they went Downhill. Exactly how are the results ordered? It's not by job success, feedback score, hours, first or last name, location, hourly rate, or last active. Is it random?